In the days of Netflix, Amazon, Hulu and many more, binge watching has become part of our culture. Sitting down after work in the evening to just watch ‘one’ episode of Stranger Things just doesn’t happen now. Soon enough, it’s 3 am, and we have to be up in four hours. 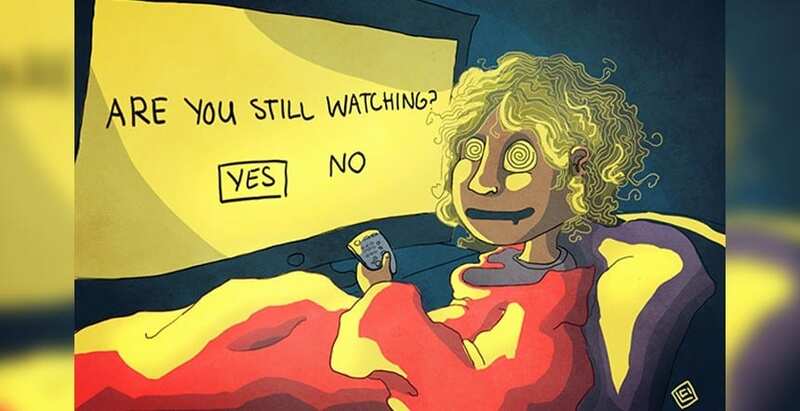 But at least we know what happened to Barb now… So what is the psychology behind binge watching? Why is it so addicting? In a world where people are driven by digital lifestyles and 140-characters, binge watching allows us to enter new worlds. Netflix decided to investigate why people binge watch television shows and sent a cultural anthropologist to speak to TV binge watchers. 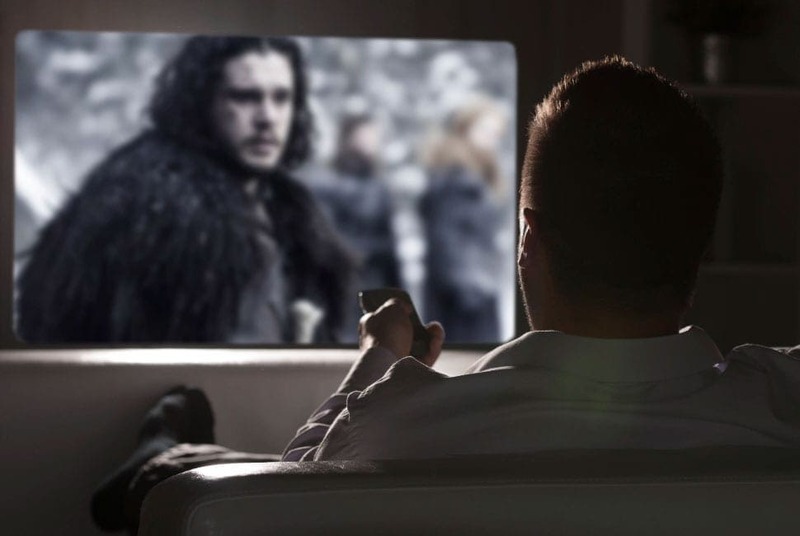 He found that 76% of the people he asked enjoyed binge watching TV as it gave them a welcome refuge from their busy day-to-day lives. Along with this, 8 out of 10 people agreed that binge watching was more enjoyable than watching one episode at a time as it allows us to enter long narratives and stories, rather than 140-word conversations. So don’t worry, you’re not alone. There’s nothing better than getting home from a busy day of work, to chill out, deflate on the sofa and watch out favorite TV series. Researchers have found that participants felt calmer and more relaxed as soon as they sat down and turned on the TV. In psychological terms, this allows audience members to associate watching TV with feeling calm and would carry on watching TV to continue this feeling of relaxation. Makes sense. As human beings, we have an intense desire to know EVERYTHING, and we don’t like not knowing the end of a story. And nowadays, TV show creators are getting crafty and realizing this. Programs now have so many plot twists and turns that keep up glued to our seats (or beds. Or toilets. However you like to watch). Most of these events happen at the end of a program, leaving its audience on a cliffhanger. And service providers have now got in on the trick. With Netflix’s autoplay, you can carry on watching the next episode without a click of a button, to fulfill our desire to know more. Et Voila… 6 hours down the drain. Depending on our moods and time in our lives, we may find ourselves with low self-control, meaning it is easier to binge watch. Researchers have found that people with depression or those that are lonely have less self-control than the average happy human. They may turn to binge watching to distract themselves from their negative thoughts or to feel less lonely. Given the option of working for an extra three hours after work, or watching three episodes of Making A Murderer, 99.9% of people will go for the latter. This is because, for most people, work is associated with negative feelings of stress and tiredness, whereas watching TV and escaping into our fictional lives is something we love. Although you probably don’t want to escape into the lives of Steven Avery and Brendan Dassey. Because we have strong positive feelings about watching TV shows, you’re more likely to binge-watch a series for an hour… or five. Psychologists have reported that humans have an innate compulsion to observe sudden movement, sounds and responses to assess for harmful threats. They say that the cuts, zoom, noises and movement of the camera in TV series appeal to this natural biological response. This response causes our heart rate to slow, our brains are aroused, and we focus all of our attention on finding the potential threat, rather than worrying what is going on in the rest of our body or around us. We aim to gain more attention, which gives us permission to binge watch TV. Because of this innate biological response, we love watching things that are unpredictable. If programs or films are predictable, our biological response will die down, because we know that there is no imminent danger. However, if we can’t tell what’s going to happen, we stay in our state of arousal and continue to watch… and watch… and watch.